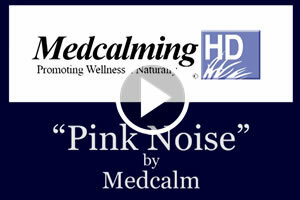 Medcalm’s sleepcalming collection of over 14 programs features sound healing, nature videos with ambient sound and spoken word programs by experts in the field of relaxation and sleep induction. 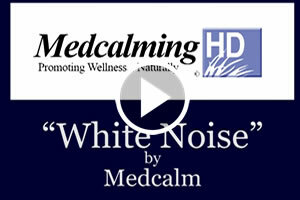 While white noise can only be addressed by a specific team of experts room by room, Medcalm’s serene music videos and hypnotic and guided imagery can lead the patient to a place of quietude when sleep becomes possible and helps block out annoying hospital noise. Created by a team of leading, psychologists, sound healers and sleep experts such as psychologist John Selby, Dr. Brian Weiss and others provide these calming soundtracks and guided imagery which assist in creating healthy sleep patterns. 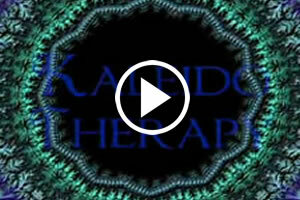 This video program delivers a message of deep relaxation to help relieve discomfort and pain. 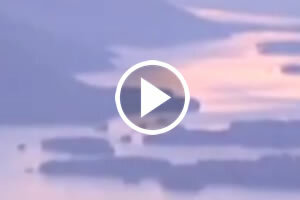 Elizabeth Hepburn has long been acknowledged for the healing quality of her voice, and her words, in combination with beautiful nature video and soothing music create a profoundly calming experience. Pain is compounded by worry, anxiety and fear which contract the body and cause breathing to be shallow. Conscious slow deep breathing and sighing out the exhale relieve the body of tensions and allow it to relax more and more deeply. Visualizations and the healing power of smiling are also employed as valuable tools here. From personal experience Elizabeth knows of the magnificent healing power within all of us. And she firmly believes that, along with the stunning advancements in medical technology, restoring peace and ease and balance within the body/mind/spirit system can work wonders. A calm inducing immersion into the fine art photography of “America’s Vanishing Landscapes – Western States’ by Wayne Williams. Accompanied by natures ambient sound and the healing music of Steven Halpern. This program will help distract patients from the surrounding noise and help reduce tension and anxiety, bringing the viewer to a deeper place of true relaxation. Beauty. Beyond. Belief. Discover a World of Colors and Intricate Shapes Within The Fractal Universe – Accompanied by an Hour of Music From Steven Halpern’s Grammy Nominated ‘DEEP ALPHA’. Experience over 200 Fractal Patterns. Endlessly Intriguing – Ever Dynamic! Fractals describe the mathematical structure of natural patterns found in objects like snowflakes, shells, leaves, clouds, rivers and even galactic spirals. You are visualizing the nature of Nature… Music from DEEP ALPHA: Brainwave Entrainment for Deep Meditation and Healing features the healing tones of the legendary Rhodes Mark 7 electric piano and subtle sustained harmonies. DEEP ALPHA earned Steven Halpern his first GRAMMY nomination for Best New Age Album in 2012. Simply by listening, one becomes naturally and almost immediately relaxed, rejuvenated and empowered for optimal healing and creativity. Turn Your TV Into A Kaleidoscope! 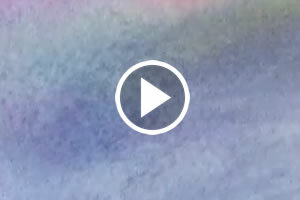 Relax and Discover a World of Beautiful Colors and Intricate Patterns – Accompanied by an Hour of Soothing Music. Endlessly Intriguing – Ever Dynamic! Digitally Mastered in High Definition.